Harborlight Advisor Ms. Fennelly has taught English at Hingham High since 1996, and she has led The Harborlight staff since 1998. She currently teaches 9th grade Humanties and 12th grade Modern Dilemmas. However, she also taught 10th grade, Short Stories, Satire, Journalism, and Creative Writing over her tenure. She has served as a freshman adviser and she runs the The Outer Limits, Hingham High's literary and creative magazine. 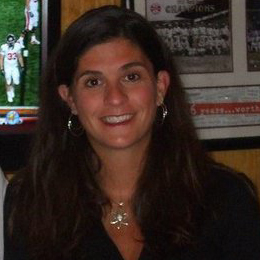 Ms. Fennelly lives in Hingham with her husband and three children.